Apparently there’s some other bracket-style tournament that takes place this month. Who knew? 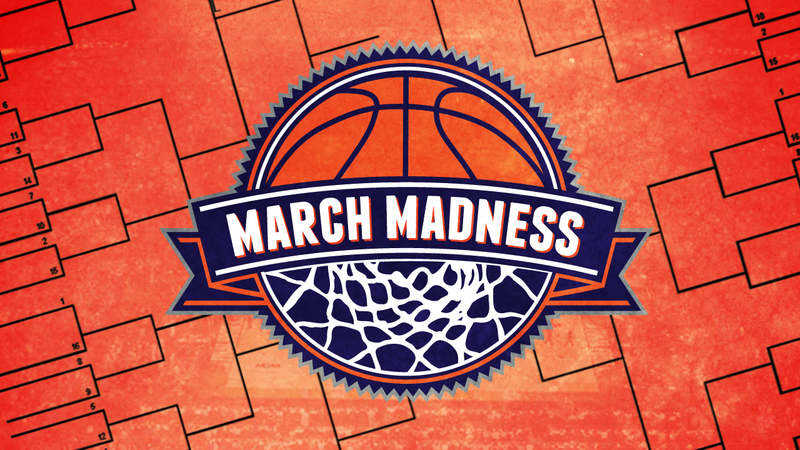 And while the Lent Madness Legal Team considers its options, we thought we’d do a quick bracket analysis of the teams in this year’s NCAA basketball tournament. Where are the saints? Have they ever appeared in Lent Madness? Do people get upset when mystical teams take on modern teams? The Supreme Executive Committee of Lent Madness dives into the fray. Obviously OUR bracket is holier than THEIR bracket. But nonetheless, if you look hard enough, there are some parallels. St. Joseph University (Hawks) — Will the Hawks do better than St. Joseph did in Lent Madness 2016? As you will recall, our St. Joseph lost to Abasalom Jones in the Saintly Sixteen after defeating Christina Rossetti in the first round. Xavier University (Musketeers) — Named for St. Francis Xavier, the 16th century Spaniard and co-founder of the Jesuits, Xavi er University is located in Cincinnati, Ohio, home of Lent Madness’ sponsor, Forward Movement. Gonzaga University (Bulldogs) — Once the ultimate Cinderella and now a perennial basketball power, the “Zags” are named for St. Aloysius Gonzaga, a 16th century Italian Jesuit. Seton Hall University (Pirates) — Located in South Orange, New Jersey, Seton Hall is named for Elizabeth Ann Seton, the first native-born American to be canonized by the Roman Catholic Church. This former Episcopalian lost to Oscar Romero in Lent Madness 2013. University of Notre Dame (Fighting Irish) — Any team named for “Our Lady” is obvious. Too bad there are no “Hail Mary” plays in basketball. The word “Fighting” is lamentable but Irish saints (Columba this year and Brigid of Kildare last year) often do very well in Lent Madness so it balances out. Villanova University (Wildcats) — Named for Saint Thomas Villanova, 16th century Spanish friar. Iona College (Gaels) — This New Rochelle, New York, school has a direct connection to Lent Madness 2016! It was named for the isle of Iona, on which St. Columba founded his famous abbey. Providence College (Friars) — A college named for heaven, their nickname gets points for invoking Friar Tuck. Note: Don’t ever call a “friar” a “monk” — they get offended. 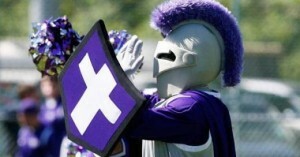 College of the Holy Cross (Crusaders) — This school in Worcester, Massachusetts, is named for the cross! Too bad they lose some street cred by calling their sports teams the “Crusaders” — not exactly the image we need these days. Temple University (Owls) — Who wouldn’t give a hoot for a school named after the Temple? The only question is whether it will be destroyed or restored in the month ahead. University of Virginia (Cavaliers) — You might think the state of Virginia is named for the Virgin Mary. But you’d be wrong. It was named for Queen Elizabeth I, the “Virgin Queen.” At least Anglicans can cheer on the Elizabethan Settlement. University of West Virginia (Mountaineers) — See above. And then remember how much time Jesus spent on mountaintops — praying by himself, Sermon on the Mount, Transfiguration, etc. Hampton University (Pirates) — This historically black college in Hampton, Virginia, was founded by black and white leaders of the American Missionary Society in 1868 to provide education to freedmen. Rumor has it that Absalom Jones has his money on the Pirates this year. Virginia Commonwealth (Rams) — At first glance, the VCU mascot would be more at home in Los Angeles where the NFL team of the same name is returning this year. HOWEVER the team is named for the animal caught in the thicket after God tells Abraham to stop the presses and not sacrifice his son Isaac after all. University of Maryland (Terps) — Like the state of Virginia, Maryland is not actually named for the Virgin Mary. Rather for King Charles I of England’s wife Queen Henrietta Maria (Queen Mary). Alas. Duke University (Blue Devils) — It doesn’t matter how many games or titles Coach K has won. Your team, no matter how you spin it, is named after (a blue-tinted plural version of) satan. 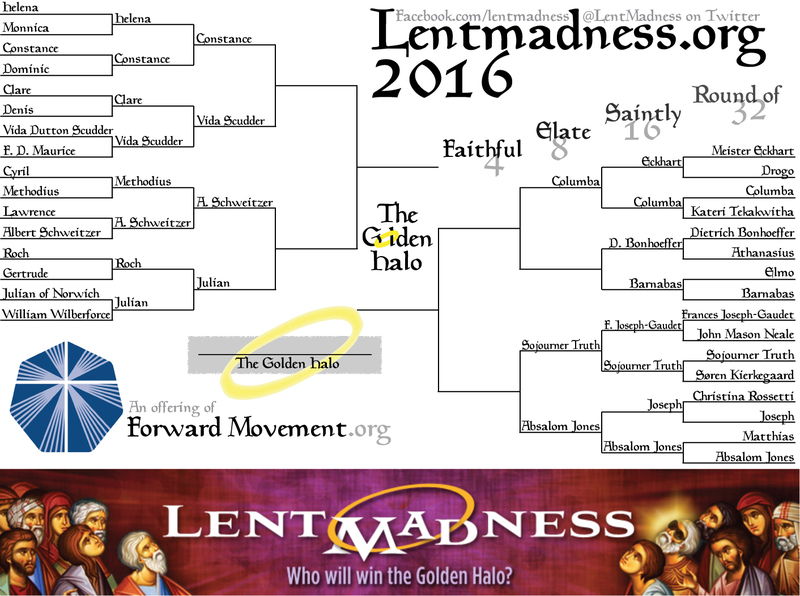 If your Lent Madness bracket has been hopelessly busted, you may well decide to fill out that “other” bracket. Go ahead. And if you enter an office pool, we definitely suggest you use this analysis to decide all your picks. Just make sure to tithe your winnings to the Supreme Executive Committee. 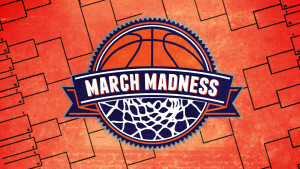 34 Comments to "Lent Madness meets March Madness"
Interesting background on saintly names of universities. But I am a Kansas Jayhawk and my alma mater was somehow overlooked. I am sure there was some obscure Saint somewhere, sometime who went by the name Jayhawk. Please research that one for all of we fans of Lent Madness whose basketball team in No. 1 in the nation. Well, the Jayhawks name alludes somewhat to the Jayhawkers, anti-slavery forces active in Kansas before/during the Civil War. Fighting against slavery during that period gives them something in common with Sojoutner Truth, even if their methods were dramatically different to say the least. That’s the best I got. Good to hear from some Kansans! I think you could include the Jayhawks in your writeup because basketball is a religion in Kansas, devoutly followed and attended. And the state is awash with underground railway stations where escaping slaves were sheltered which Sojourner Truth would have liked. . And Kansas voted enter the Union as a free state and not a slave state and about every third business, school, what have you, in Lawrence, home of the Jayhawks is named the Free State something. And . . .and . . . and. The University of Kansas was begun with a donation from free staters who hated slavery. And, the first chancellor was the Reverend R.W. Oliver, rector of Trinity Episcopal Church in Lawrence. Do we Jayhawks feel a connection to the Saints somewhere? Well stated all you Jayhawks!! RCJHGKU! Just to clarify the orgination of the name “Blue Devils”— the team is named after a fighter squadron that helped liberate Europe in one of the great wars, so Satan is only peripherally involved. The athletic director, football and basketball coach are all Catholic Christians. GO DUKE! Duke’s former name was TRINITY College. My great-uncle was a student there. Finally! Something to which I can relate…my alma mater: HAMPTON UNIVERSITY and the Pirates. Well, when you’re located on a peninsula and a river runs the length of the school, it all fits together. One of the top predominantly black universities, Hampton has, since I graduated in 1959, not only excelled in the academic arena, but now excels in basketball.. Only tennis was a top sport during my days. GO PIRATES ! Clobber the daylights out of the team you play! Puh-leeze ! You only mentioned the men’s bracket. There are saints in the women’s bracket too. St. John’s and St. Bonaventure in addition to Notre Dame and Iona. Let’s hear it for the ladies! It was issued last night. I work at the University at Albany and our women will be facing Florida on Friday. No saints involved but I will root for the Great Danes over the Gators. PLEASE research and post on the women’s bracket. I’d hate to think the SEC was sexist. President Obama has announced his picks in the women’s bracket already. You need to get with the program. He says UAlbany over Florida. I hope he is right!. Yes! We cheer for ALL the Saints! Great insight, thanks so much. I would note that the mascot of the North Carolina Tar Heels is also a Ram… the animal caught in the thicket. Hopefully no thickets this March! Yea Tar Heels. When I was at UNC Chapel Hill the priest for the students also assisted coaching the junior varsity , I think. I was there when UNC won their first national championship. What a game that was. We ” Wilted the Stilt” . Chapel Hill (home of UNC) is also know as the Southern part of Heaven. Surely you will notice the Iowa Hawkeyes are most saintly in my eyes! The Tall Corn Maiden had very mystical power used only for goodness and mercy with University of Iowa basketball players and U alumni all the days of her life. A saint indeed. Not much can be said for Syracuse…..home of the Orangemen and Orangewomen! Go “Cuse! Did you say “no Hail Mary plays in basketball”? What do you call those mid-court and beyond shots for the basket in the closing seconds????? Truly enjoyed the banter. My university Radford has a Highlander as a mascot. One could find some Biblical references for mountains. Happy for the Duke clarification also. I’m afraid neither of the universities our family is associated with has a saintly name or mascot: USC (which was founded as a Methodist institution in the 1880s but which is no longer affiliated with any denomination) and South Dakota State. The only mention of rabbits in the Bible that I can find concerns their unclean status (ie not to be eaten), and Trojans…well…no. Not at all. As a Jersey native and a past teacher of Marylawn Academy (in So. Orange and run by Mother Seton’s nuns) I’m rooting for Seton Hall . Similar to Duke, DePaul University in Chicago has a “devil of a nickname.” DePaul (named after St. Vincent DePaul) is the home of the Blue Demons. The women’s basketball program is nationally renowned these days but sad to say the men’s side has been out of the national spotlight for a long time. As I recall, the name comes from an very old newspaper article describing the men’s basketball team playing great defense in one game, running around in their blue uniforms like a bunch of “blue demons”, and the name stuck. And like Duke they have a blue devilish looking mascot courtside but unlike Duke they are not a men’s NCAA tournament perennial attender. How about the UConn Huskies [men and women] basketball teams? Samuel Seabury was the first American bishop and the first bishop of Connecticut. He was born in Groton,CT. Go Huskies! The word “FIGHT” is unfortunate, some say. Well, if you said that a few years ago in the Pittsburgh area, before it went renegade, you’d “have some ‘splaining to do” with our beloved Bishop Appleyard! I remember that we always pulled out his fav’ hymn whenever he visited. The moment the first words of “Fight the good fight with all thy might” sounded, you’d see this big grin from the bishop. One of the tallest bishops (or clergy) I’ve ever seen. Many of us love “Onward, Christian Soldiers” as well. Discussions of these matters quickly disclose who has healthy grasp of Metaphor. And I’m still holding onto hope for Joe Hill, martyr. Ummmm……Tim or Scott – someone committed an error MOST egregious!!! There is NO SUCH UNIVERSITY as the University of West Virginia. The school’s proper name is Weat Virginia University. While I did not attend that fine school, many of my high school classmates and other friends did. To say U of WV is as bad as saying University of Ohio State, to some such nonsense. It’s WVU!!! Fair enough. But I’m also pretty sure there’s nothing called “Weat Virginia University.” And if there is, I bet they have a lousy gluten free menu in the dining hall. Tim, you are absolutely correct. I fat-fingered that when I typed the comment, and didn’t catch the typo. Mea culpa! The correct name is West Virginia University, and all loyal Mountaineers are proud of their school in Morgantown.